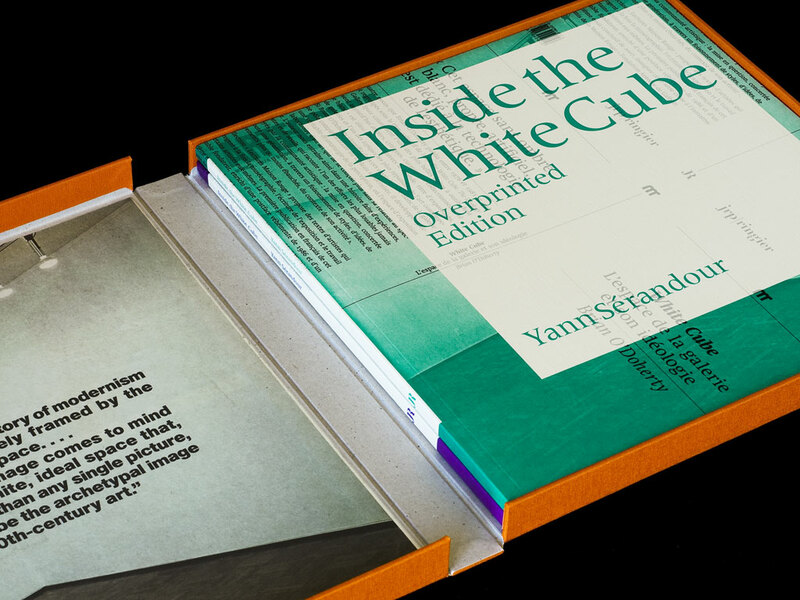 Embossed cloth with offset prints mounted inside. 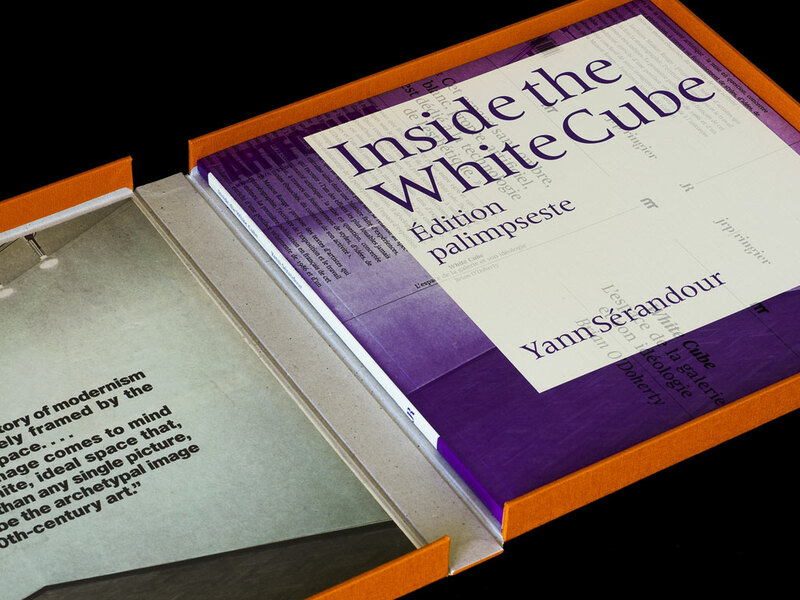 “Inside the White Cube. 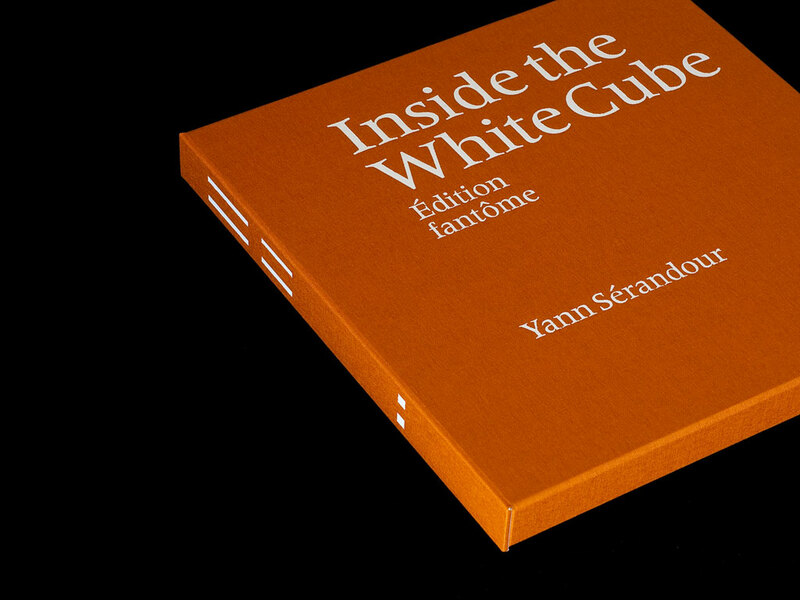 Édition fantôme” consists of a presentation case designed to hold the French and English editions of Yann Sérandour, Inside the White Cube. 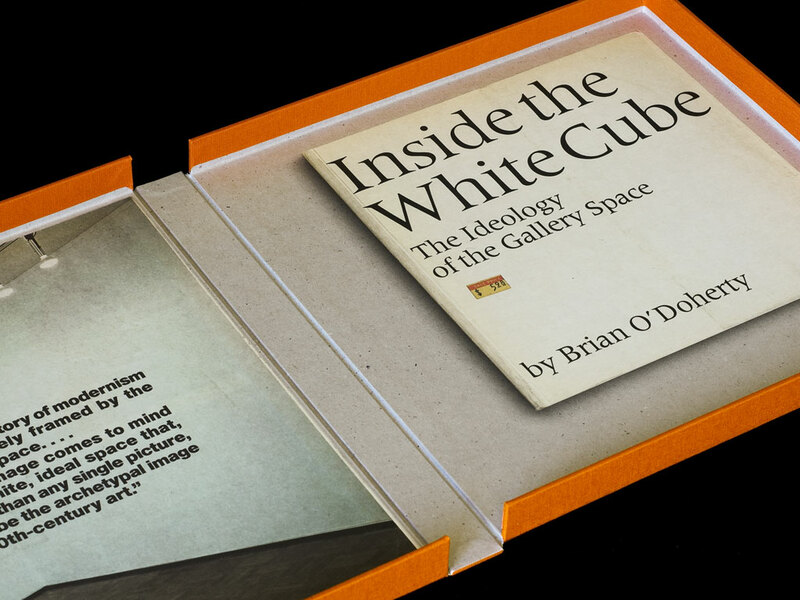 Designed after Jack W. Stauffacher’s design for Brian O’Doherty Inside the White Cube, using Adrian Frutiger’s Méridien typeface. 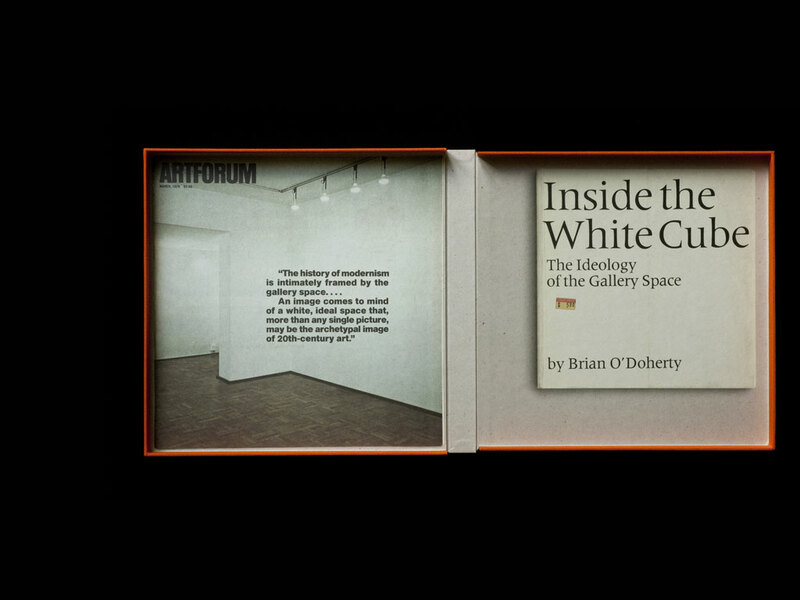 The inside faces of the case is made of a life size printed photograph of the cover of this book and of the cover of the issue of the magazine Artforum in which the first part of Brian O’Doherty essay was first published, giving clues to the book’s layout.